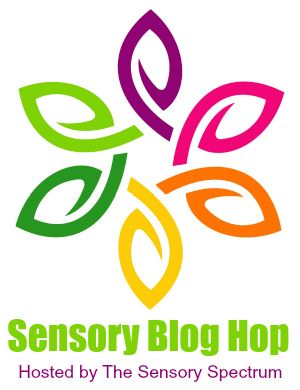 Sensory kids will surprise you… there’s no doubt about that. The child who can’t stand loud noises will somehow enjoy the fireworks. The child who doesn’t like to get his hands dirty will suddenly play in shaving cream. And the daredevil child who has no fear of anything will be the one afraid of roller coasters. Our family is a roller coaster family. We get family season passes to Six Flags every year. My husband and I even take a mental health day once a year to ride the big coasters…. because it’s just not summer if I haven’t been flung upside down at 60mph. 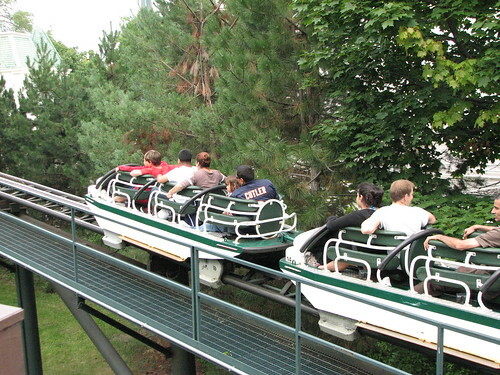 My personal favorite roller coaster at our local Six Flags was the Raging Bull before we experienced the newer X-Flight. So when my kids finally started getting tall enough even for the beginner coasters, we were the first in line! Our son Vman, who’s also the oldest, was tall enough to do some of the introductory coasters when he was six. He’s always been the daredevil between my two children and a serious sensory seeker, so I naturally assumed he would love the craziness of the coasters. Hbomb, who is six this summer, is the opposite of Vman. Hbomb has vestibular issues… not even liking swings as a child. He worked hard in OT as well as gymnastics to get used to his body flipping, spinning and twirling. Now he loves it… but would this child be a roller coaster kid? Will the Physical Sensory Seeker Like Rollercoasters? He was nervous as all get up, but once the ride began its first descent, all I heard him screaming was, “This is awesome!” I thought I had my coaster kid. But sensory kids will surprise you. We then decided to try a coaster some of his friends had loved the year before. The Screamin’ Demon has two upside down loops in it… which I thought my sensory seeker would LOVE. I couldn’t have been more wrong. By the middle of the ride, it was evident he was completely spooked. I mean SPOOKED. He didn’t cry, but he was obviously upset. “Mom, I did NOT like that,” he declared the moment the ride stopped. This is not the reaction I had been expecting. Every summer he is determined to try a coaster. And every year, he decides he still doesn’t like him. But I love that he wants to try it… just once. I don’t ask and even tell him it’s okay if we don’t. But his willingness to get back on and see — well, it’s a personality trait that will carry him far when he’s older. 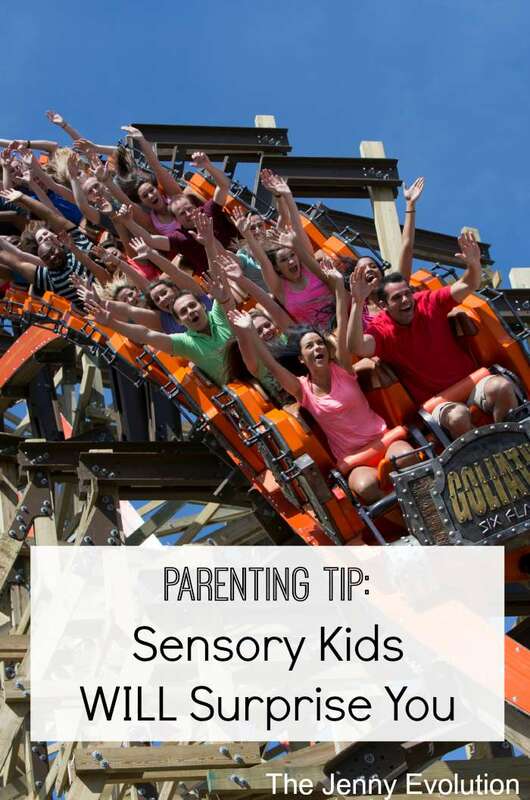 Will My Vestibular-Challenged Kid Like Rollercoasters? Hbomb has been quietly watching over the past couple of years as his dad and I talk about the roller coasters we like as we walk through the park. He’s an introspective dude, so he never said anything, but I’m sure he was taking notes. This year, he was finally tall enough to not ride the Whizzer by himself. (I actually had a mom moment and sniffled when he declared he was going on his own). And he was finally tall enough to try some of the coasters. He was going to try, Hbomb decided. Hesitant, I agreed. I mean, this is my little guy who couldn’t handle the swings as a babe! My husband and Hbomb left to get in line for the Screamin’ Demon, leaving me a nervous wreck. Fifteen minutes later (there was no line), Hbomb ran out with the biggest grin on his face, declaring that he rocked the roller coaster and could he go again. Wait… what? Before my mind to wrap around the fact that this sensory kid loved roller coasters, he was dragging me back in to line so he could go on it with me. Even though we’ve been living with Sensory Processing Disorder for almost nine years now, my kids still surprise me. Just when I think I have it figured out, I’m taught that really, I know nothing. Sensory kids are just that way. One minute they can’t handle the toilet flushing in public restrooms and the next they’re asking you to blast the music on the car stereo. If anything I’ve learned over the years, it’s to encourage your kids to try new things and let them decide what they do and do not feel comfortable with…. because the answer may just surprise you. This is so true of our sensory kids! Their likes and dislikes are unpredictable and inconsistent. However, I just cannot get over the fact that they got rid of Raging Bull??? No! That was my favorite too!!! So sad! I LOVE this! I like that you make things like this a process by talking about it, agreeing on something, and then asking them to simply try it once. I really think when kids are involved in these decisions, they will surprise us, which is the value of involving them. Yes, sometimes the surprise goes the other way, BUT it’s all part of the process. I appreciate your perspective on this. Thank you for sharing! I like the word “train” because you are absolutely right, I’ve had to train myself as well 🙂 As parents, we need to know when sensory can be too much while also balancing the freedom kids need to explore their own world and figure out what’s right for them. There is so much truth here! My kiddo always surprises me too, and usually it’s because I’ve underestimated what he can do. When we went to the water park recently, I also told him that he had to try a big one…just once. He ended up loving it but didn’t want to “branch out” to any others. I was proud of him for trying and stretching himself outside his comfort zone. What more can we ask? Here’s to keeping an open mind and always leaving room to grow! You are a brave woman and cool mom for sure. We are the opposite, and my youngest is a seeker who would probably love being adopted for the day! That’s awesome your kiddo tries to ride them, that’s huge. It was tough to see my youngest go… I just wasn’t emotionally ready for it. But he certainly was!